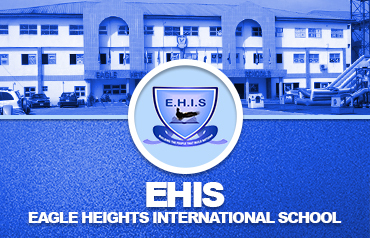 Eagle Heights International School is a Coeducational Private Christian School established by in accordance with the vision of Pastor Ayo Oritsejafor. It is a Day/Boarding School which offers qualitative education in both British and Nigeria Curricular in a wide range of subjects at the Nursery, Primary, and High School levels of education. EHIS was borne out of the vision of building people that will in turn build nations. Eagle Heights Schools is on the mission to provide a range of world class educational, social and religious experience as well as an environment appropriate to the age, potential and the needs of its students and pupils, in order to empower as well as tom prepare them for leadership positions. Eagle Heights International School was found by Papa and Mama Ayo-Oritsejafor , the President of Christian Association of Nigeria (CAN) who is also the President of Pentecostal Fellowship of Nigeria (PFN) to offer a First Class education to pupils and students from all walks of life. His vision is of course complemented by her beautiful wife-Mama Helen Oritsejafor, an indefatigable banker ( with many years of experience) who also doubles as the Chairman, Eagle Heights International Schools Board of Governors. EHIS is child centered in its framework and approach. The Management believes that the success of the school depends on the degree to which learners' needs are met. Consequently, Eagle Heights International School is committed to give superior and exceptional services that fully meet our learners' need at all times. This philosophy, we cannot compromise and we believe that you will follow and flow with it to take the school to its desired haven.